Math has kind of been a bad word for most of my life. It was not until I started teaching my kids that it became a little more interesting. However, I have always been a bit afraid of having to teach my kids upper level math. Without a lot of extra studying and refreshing myself, I do not remember most of the things I learned from WAY back when. 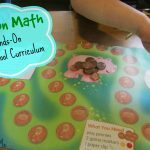 I am so incredibly grateful to have options like Mr. D’s Math to help me teach my kids the more advanced levels of math. This program is really well done and is so much more personalized than most of the other options available. Who is Mr D? His full name is Dennis DiNoia. He has a masters in education and started his teaching career in 1988. 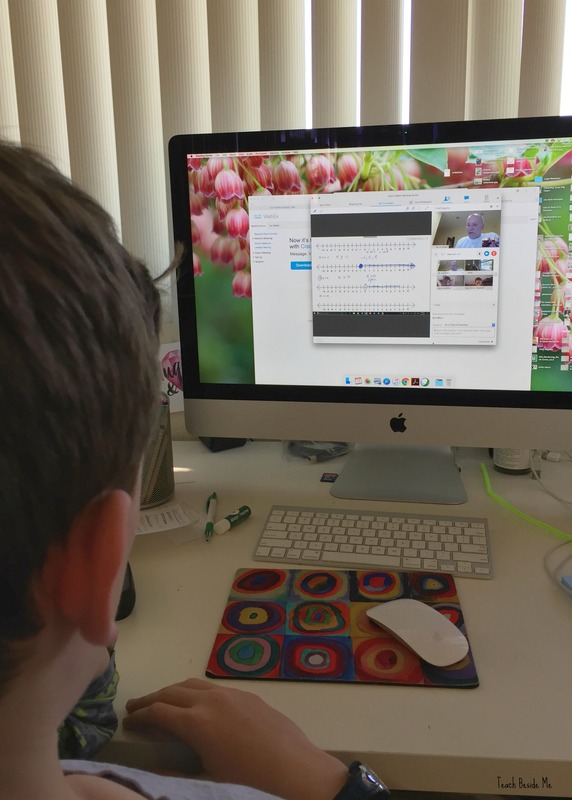 10 years ago he left teaching in the public school to develop his online teaching programs. He has done some great things in his teaching career! 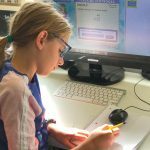 What’s Available in Mr. D’s Live Online Math Programs? 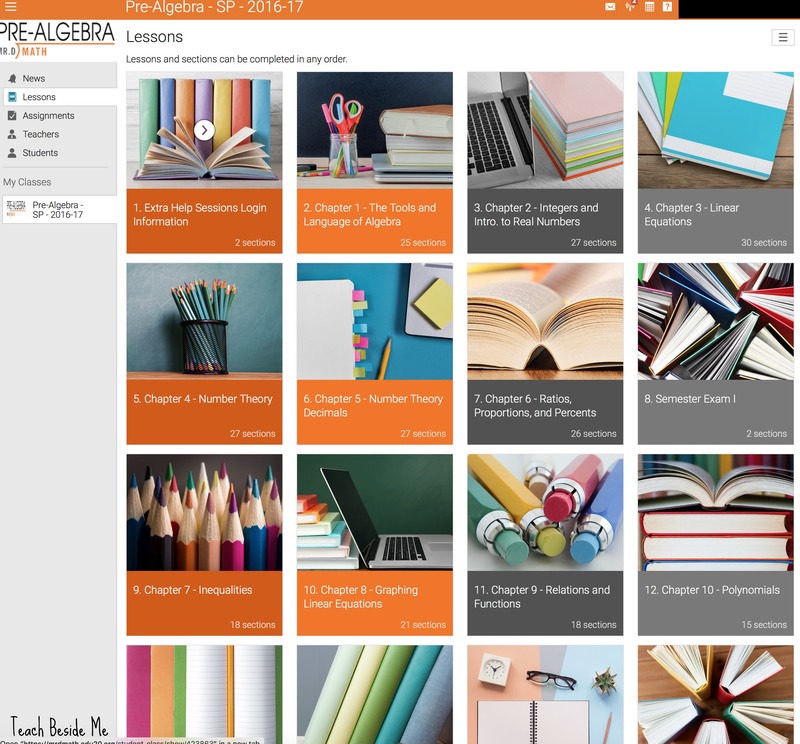 Each program has the option to have a self-paced math course or a live online math course. There are definite benefits to each style. Since we jumped in mid-semester, we tried out a live class, but since then, have been working through the self-paced curriculum. The self-paced class is all pre-recorded and you can do it at your convenience. Obviously the live class has a set time. There are a few time options to choose when you register. My son really enjoyed being part of the live class. You get to see the other students and there is some interaction, questions to answer and conversation happening. It is a lot more personalized. Mr. D. was really friendly and made him feel welcome and included right away. A typical lesson includes a 15-20 minute video to watch. The lengths vary. Mr. D is talking, writing and describing the concepts with visuals. He is interesting and not dry at all. MY son never minded watching and doing his assignments. Once they finish the video there is a quiz to complete with questions from the lesson they just learned. The quizzes are not super long 10-15 questions. Then the kids grade themselves. He gives them the formula for figuring out their grad percentage based on how many they got right. My 12-year-old gives Mr. D’s Math a big Thumbs Up! He really likes the format and says it is a fun way to learn! I agree with him. I loved sitting in and watching to see how things were going. I was always really impressed with his teaching style and his ability to keep you engaged in the lessons. 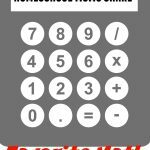 If you need math help for your older students, definitely check out his website! Find Mr. D’s Math on Facebook, Twitter and YouTube, too! The You Tube channel is great because you can check out some class samples and see what he is like. 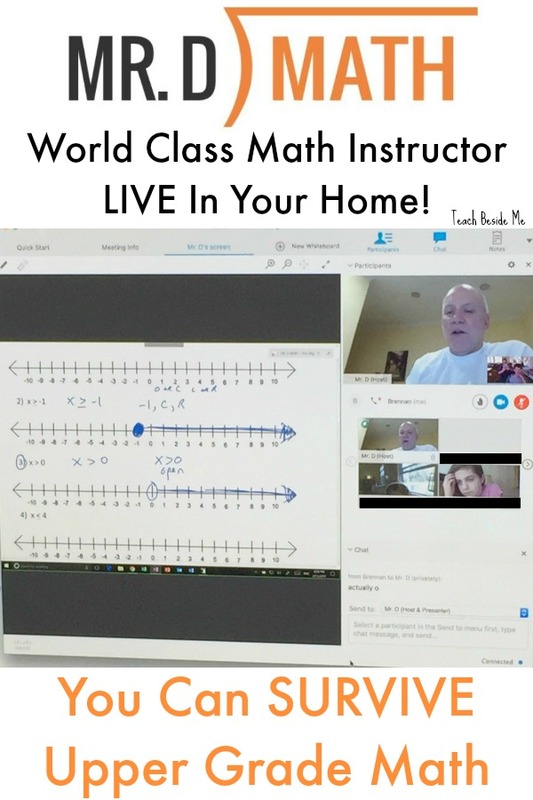 Check out http://www.liveonlinemath.com instead. Three times weekly, live classes, and comparable pricing to Mr. D but more teacher interaction with three vs one live class a week, and very thorough curriculum. Also has a recorded option that’s cheaper. They offer tutoring as well. One of my sons requires extra help so this is an inexpensive option to add on a half hour session once a week. We’ve used them for three years. Four different teachers so lots of different class times avail to fit your schedule.